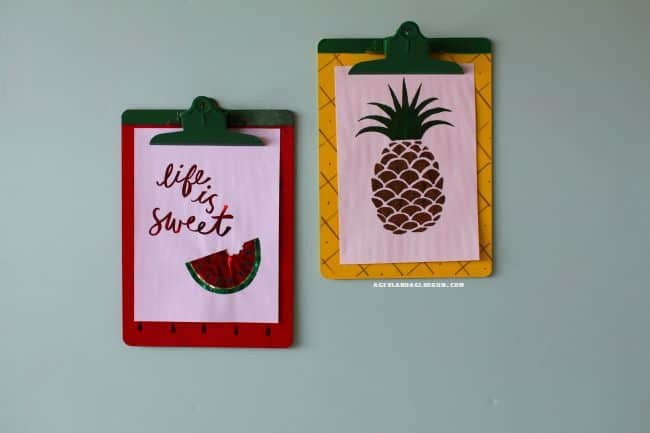 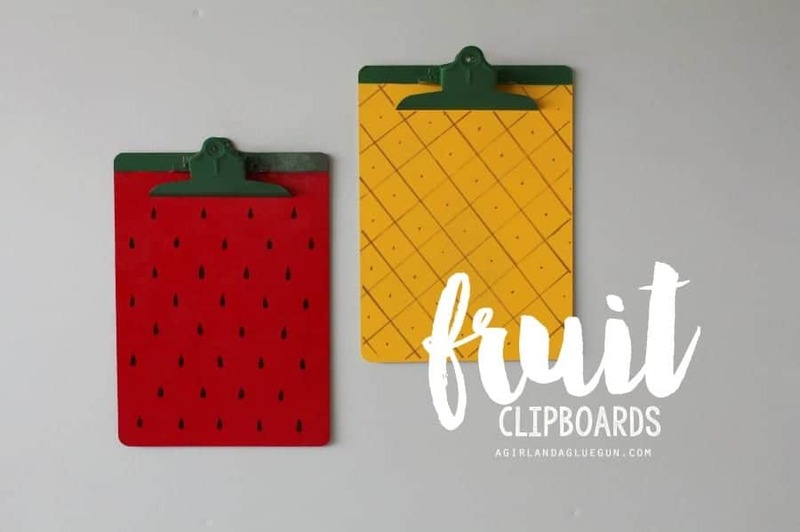 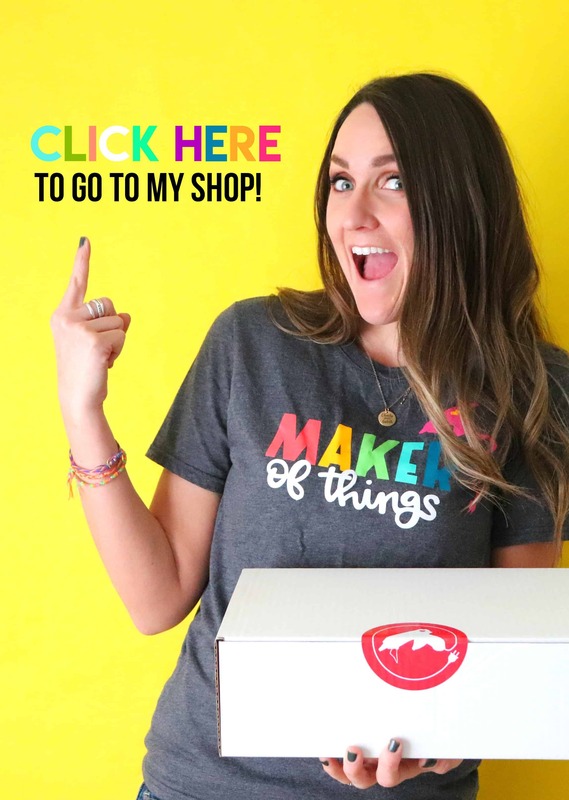 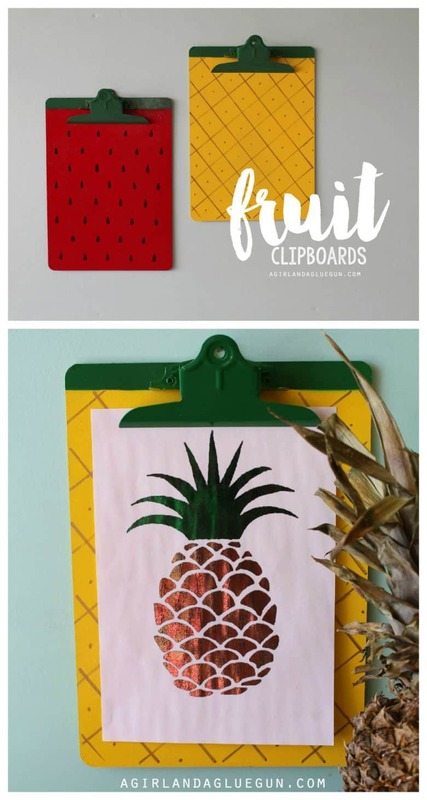 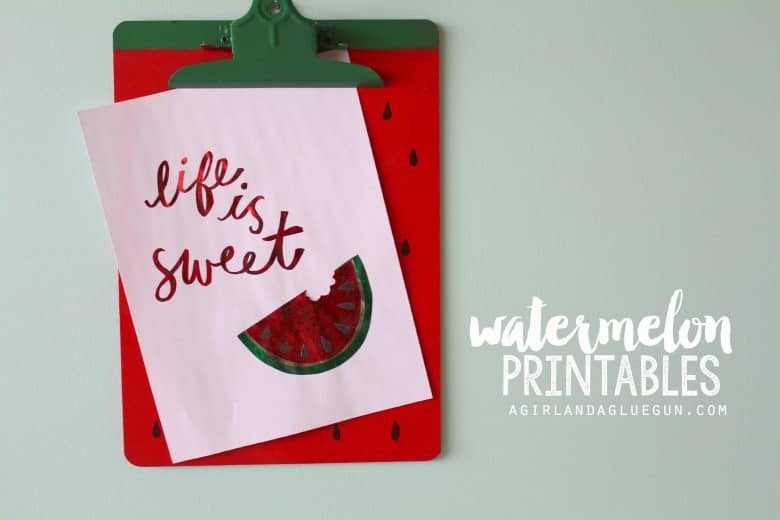 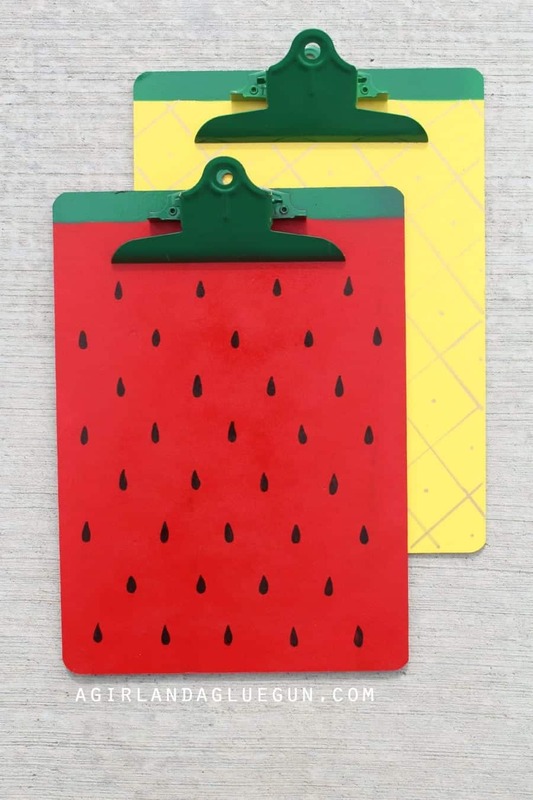 I’m loving fruit this summer….and these clipboards are sooooo easy. 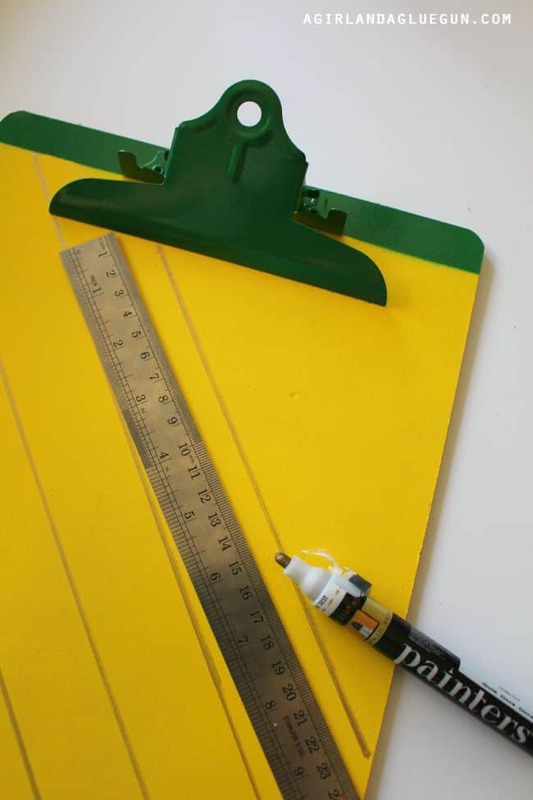 get some clipboards…these came in packs of 2! 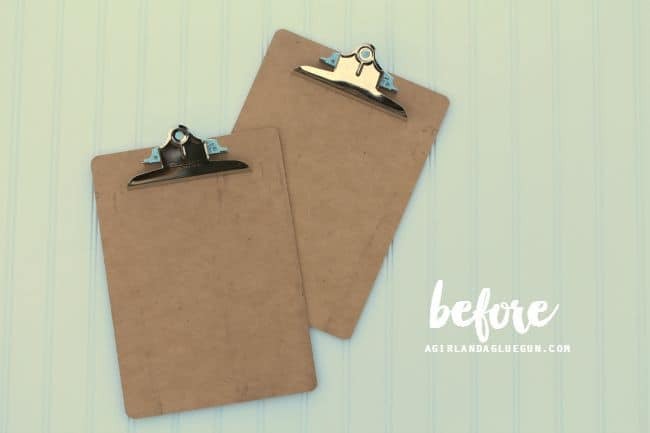 I spray painted them front and back. 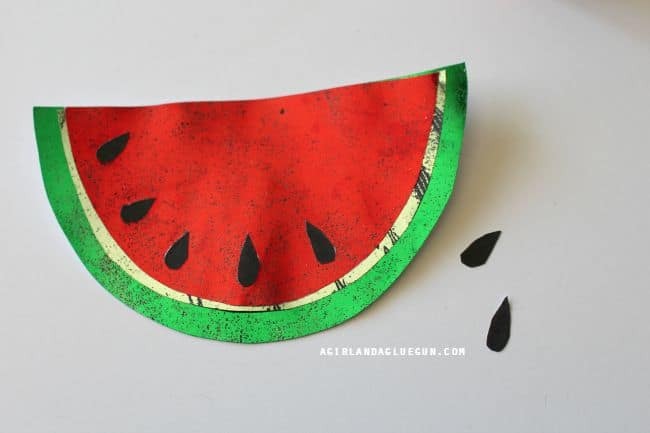 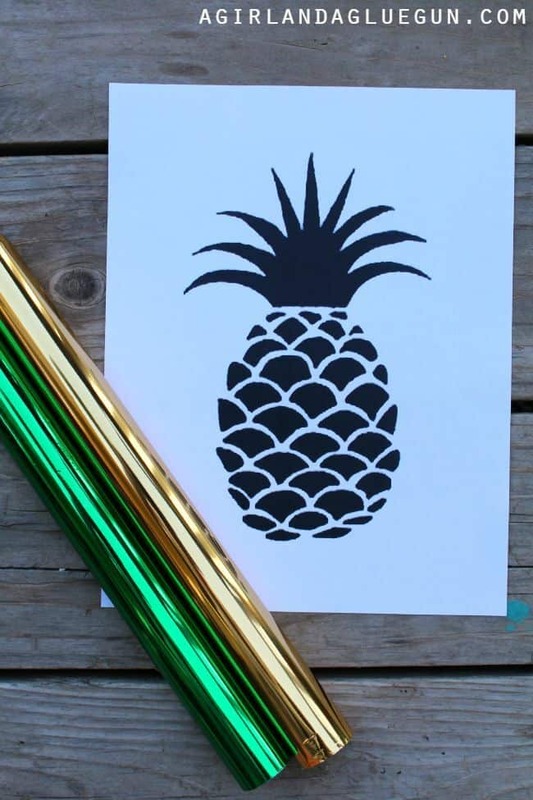 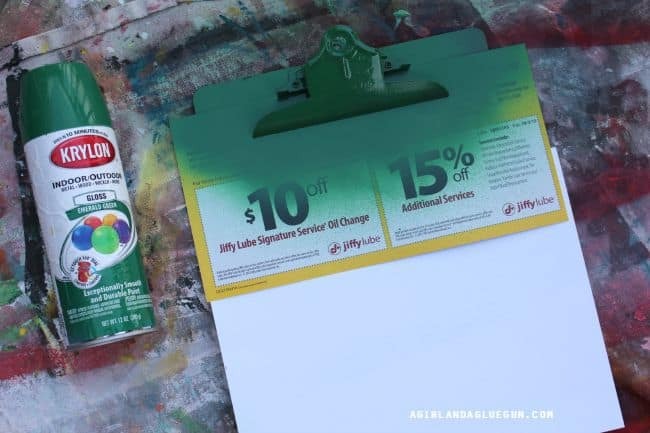 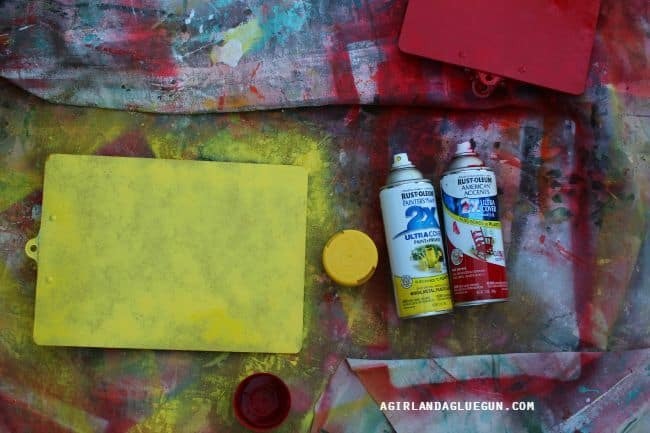 Then I added a paper (jiffy lube coupon) to the clipboard and gave them a “stem” I used a black sharpie for the watermelon seeds….and a gold paint pen from Elmers® to make stripes…. 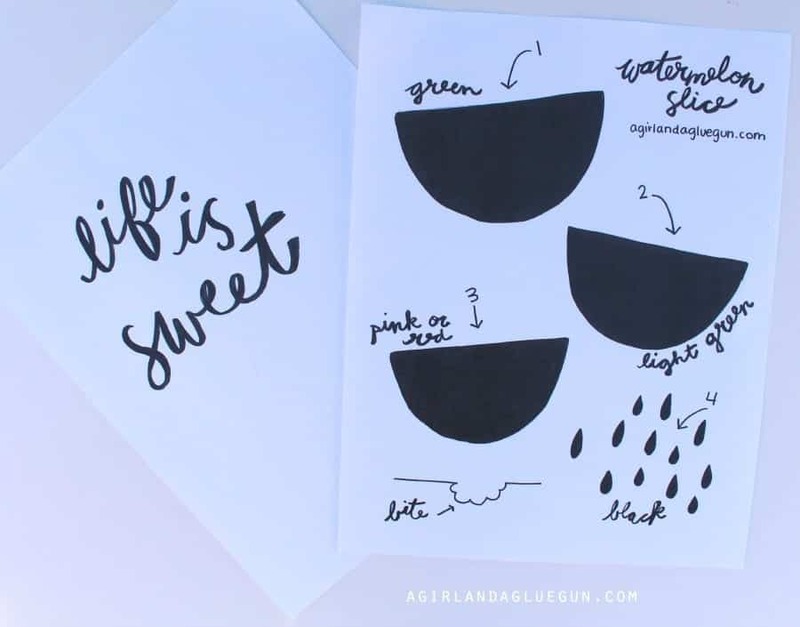 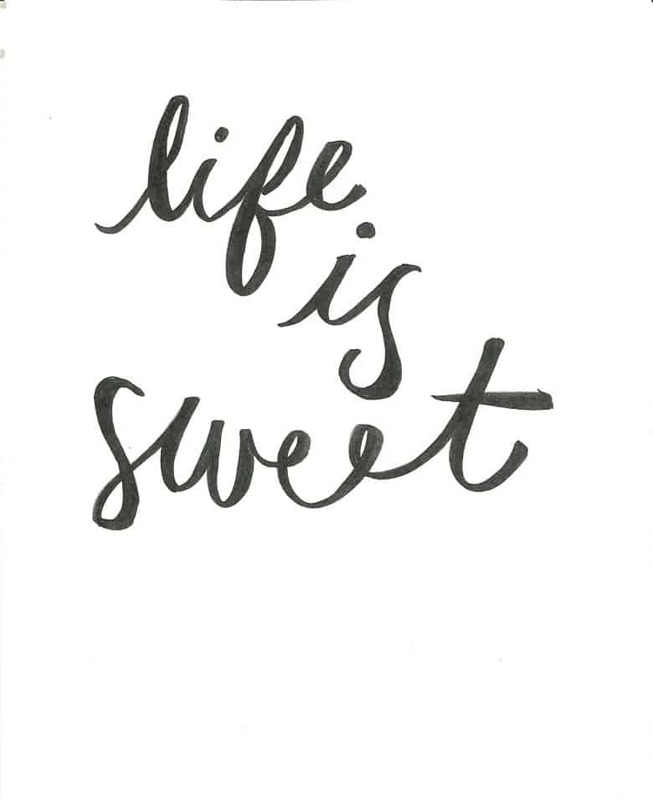 Just right click and save to your computer–These need to be printed on a laser printer to use the Minc machine! 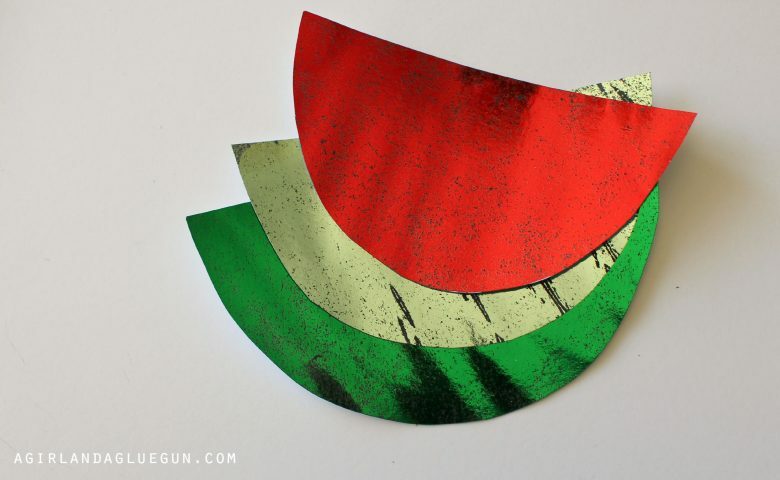 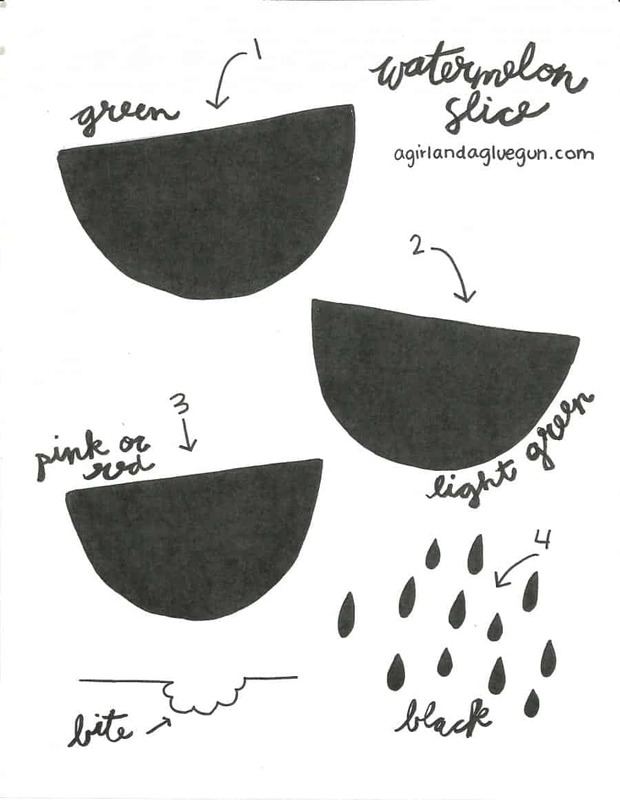 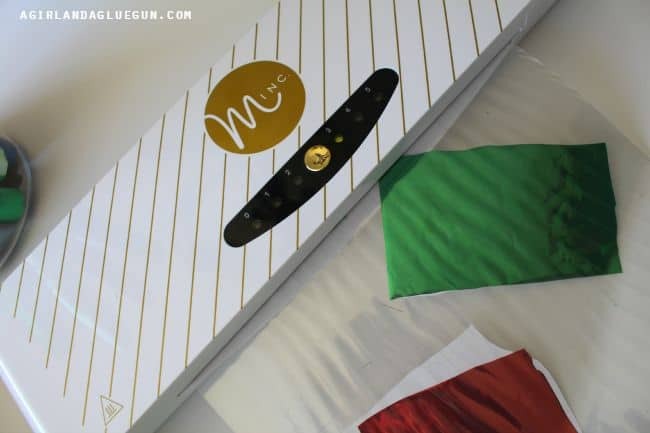 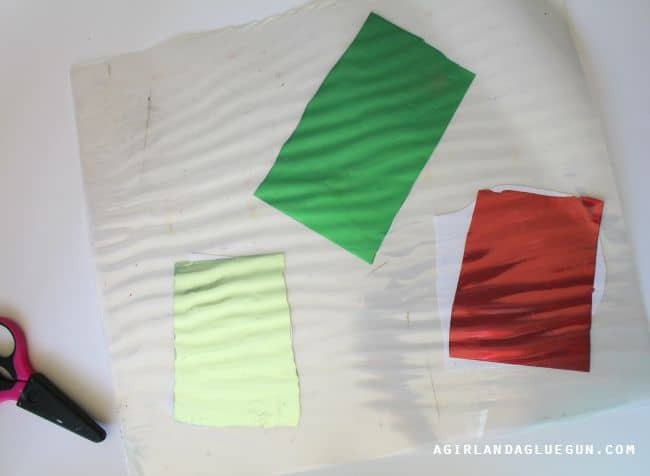 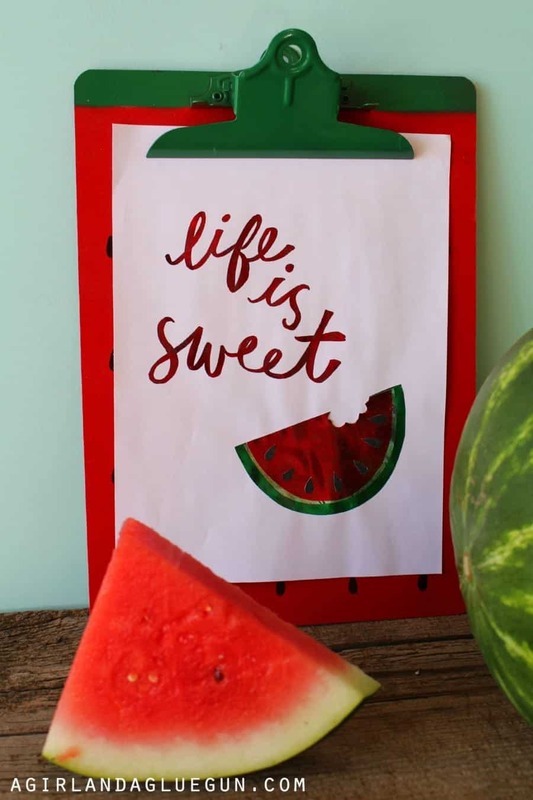 You need to cut out the pieces of watermelon and add the Minc foil sheet colors you want. 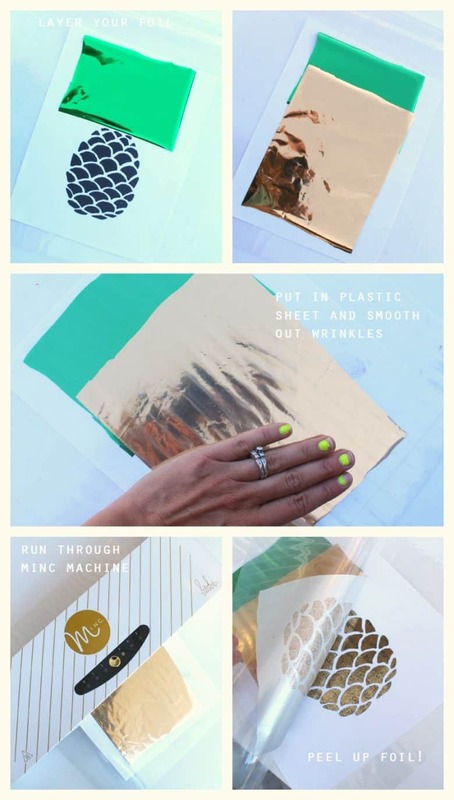 Run them through the minc machine (on a 3!) 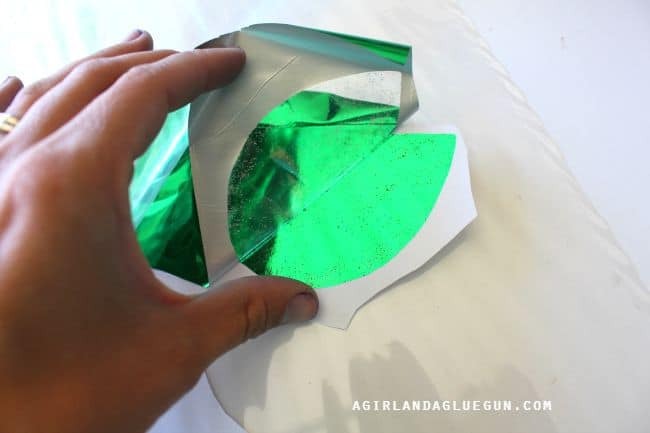 Then peel up! 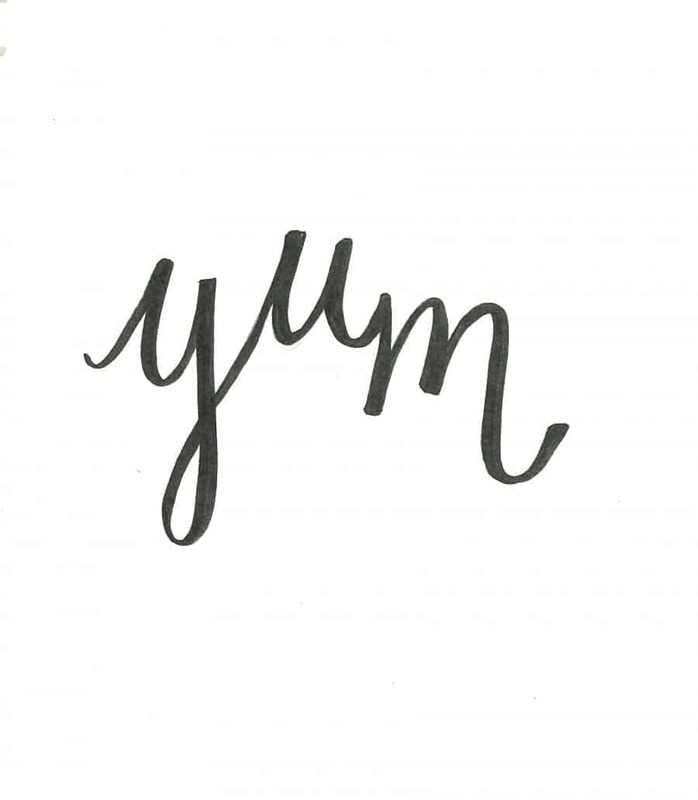 It’s my favorite part! 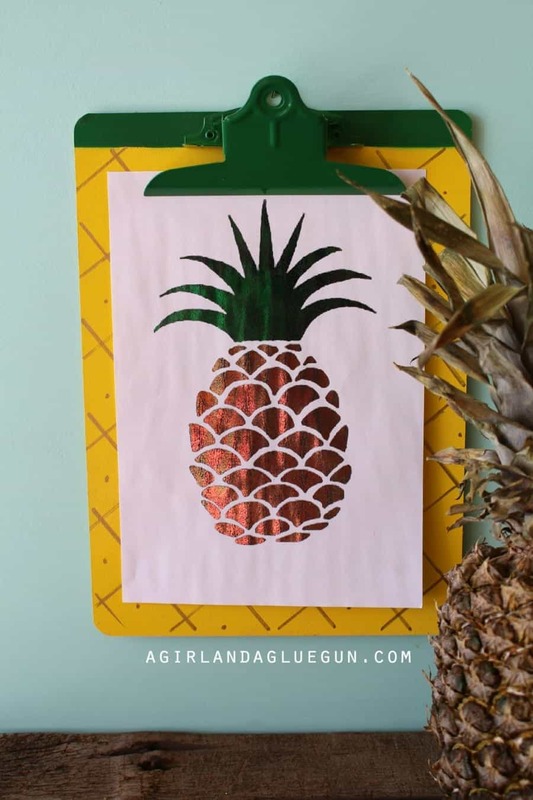 The pineapple I just found online!